Sleek and easy, eternity bands are the greatest alternative engagement ring for modern minimalist brides. By loose definition—and there only is a loose definition—an eternity band is a band with gems going all the way around the design. If you dive deeper into the origin of the style, it goes way back to the ouroboros symbol found in several ancient cultures including Egypt and Greece. The circular image of a snake swallowing its tail appeared in art and in jewelry. The multiple interpretations of the meaning revolve around the cyclical nature of life and death or the eternal cycle of the seasons. 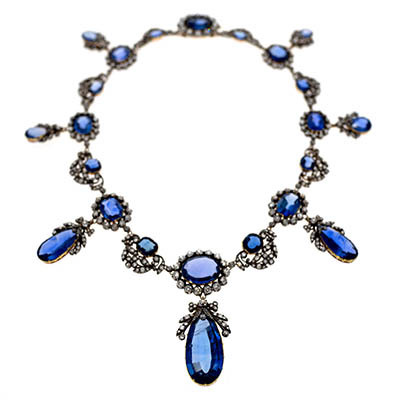 During the nineteenth century the style was rendered in gems and sometimes included a few strands of a loved one’s hair that could be kept in the locket part of the mouth. Modern eternity bands with stones—no snake—started being made around the Art Deco era when lapidaries gained the technology to cut gems into various geometric shapes. The Victoria & Albert Museum has a few in their collection. On the description of one it explains how brides had begun to wear them with engagement rings or on their own during the period. When the glamorous Duchess of Kent was married in 1934, she chose three eternity bands—one in rubies, one of diamonds and one in sapphires—as a patriotic reference to the Union Jack. The museum doesn’t elaborate on how she wore them, but I doubt it was all at once. Over the years a handful of famous brides have passed on a traditional solitaire in favor of an eternity band. On January 12, 1954, after dating for two years Joe DiMaggio spontaneously proposed to Marilyn Monroe—in other words without an engagement ring—while the couple was on holiday in San Francisco. 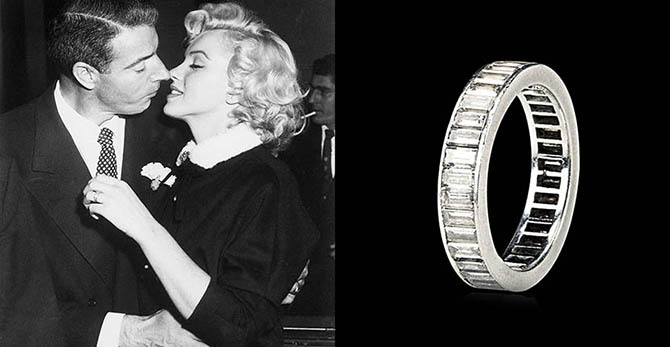 At some point, and no one knows when, where or how, the Yankee Clipper gave Monroe a platinum eternity band set with 36 baguette-cut diamonds that she wore as an engagement ring wedding band rolled into one. Mel Ferrer proposed to Audrey Hepburn with a slender platinum eternity band channel set with baguette-cut diamonds in 1954. Ferrer bought the ring from a well-respected European jeweler, Gübelin of Zurich. When the couple was married a few months later he gave her two wedding bands. One was white gold and the other was pink gold. The bands, that were exactly the same style, were both decorated with a faceted pattern. Each of the rings was engraved with the date of the wedding. Hepburn never stacked the rings. That was not her look. She would just wear one or the other. It is not known what jewel Calvin Klein gave Kelly Rector when he proposed to her in 1986. 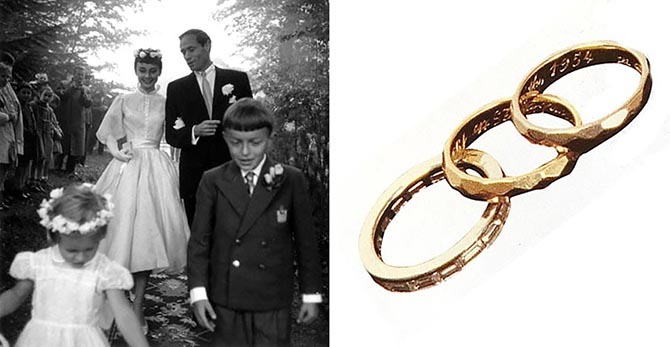 The gold and diamond eternity band she wore on the third finger of her left hand during the course of their 20-year marriage was purchased by the American fashion designer in April 1987 at the landmark estate sale of The Jewels of the Duchess of Windsor. The ring was made around 1962 by Darde & Fils, Paris. 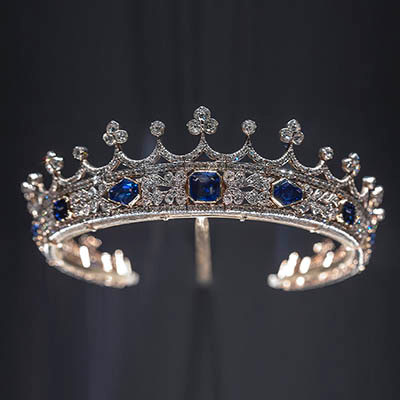 It has been widely reported in the press that it is inscribed “Eternity.” It certainly is a possibility because the Duke loved to put inscriptions in jewels, but it is not mentioned in the Sotheby’s catalogue for the sale. And one word would be a bit simplistic compared to other inscriptions on the Duchess’s jewels. 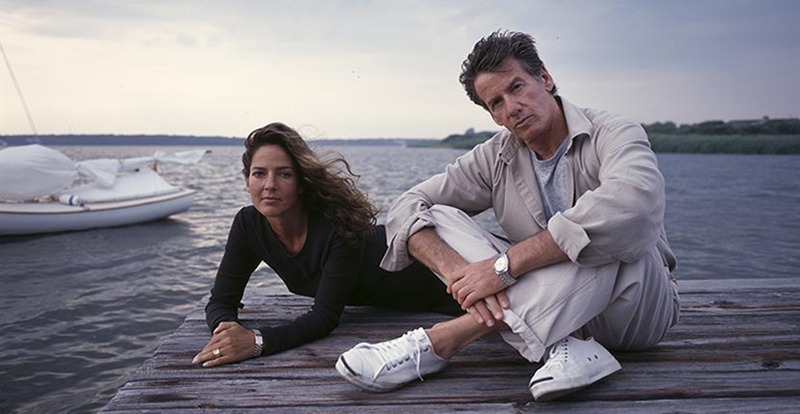 What is absolutely certain is that Calvin Klein loved the romantic history and symbolism of eternity rings and named the fragrance he launched in 1988 after the design. Eternity by Calvin Klein featured an ad campaign with Christy Turlington and became the designer’s most successful fragrance of the era. 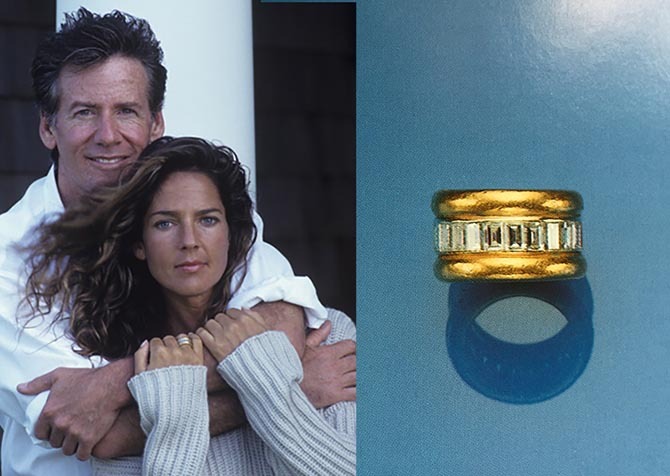 When John Kennedy Jr. proposed to Carolyn Bessette in 1995 while the couple was fishing on Martha’s Vineyard, he did so with a sapphire and diamond eternity band. 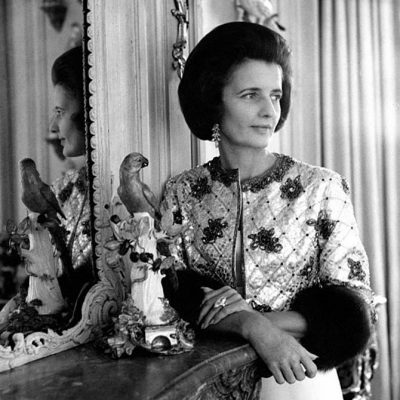 The jewel was made by Jackie Kennedy’s longtime love, the gem dealer and jeweler Maurice Tempelsman. 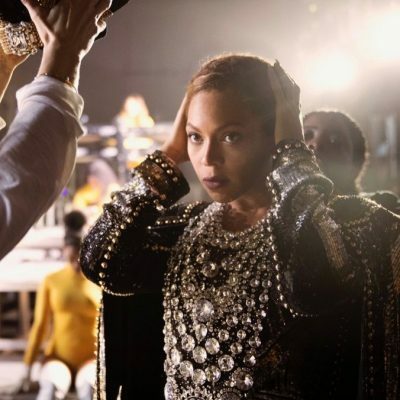 It is believed the delicate piece was inspired by a ring in Jackie’s collection she called the Swimming Ring. 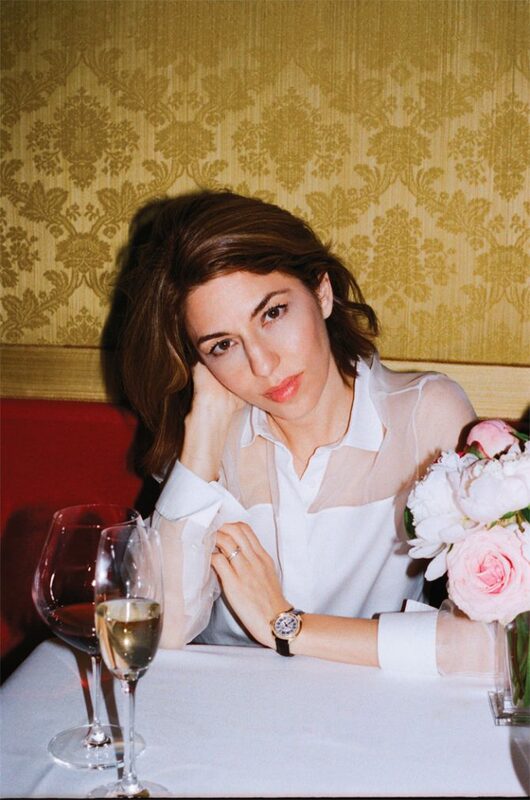 Sofia Coppola loves jewelry and has several substantial pieces like the Maltese Cross Cuffs by Verdura. Yet she wears her jewels strategically like punctuation points on her outfits. With her style in mind, it’s no surprise that her engagement ring from Thomas Mars is an eternity band from Cartier. Detail shots of the ring show it has little indentions on the side and a square silhouette. It appears to be from the French jewelers Maillon Panthère wedding band collection.